During the summer, my youngest daughter attended a sewing and weaving camp. To say that she loved it would be an understatement. Every day she would come bursting out of the camp with stories of their latest project. I knew I wanted to find ways to incorporate this new found love of textiles into upcoming crafting at home. 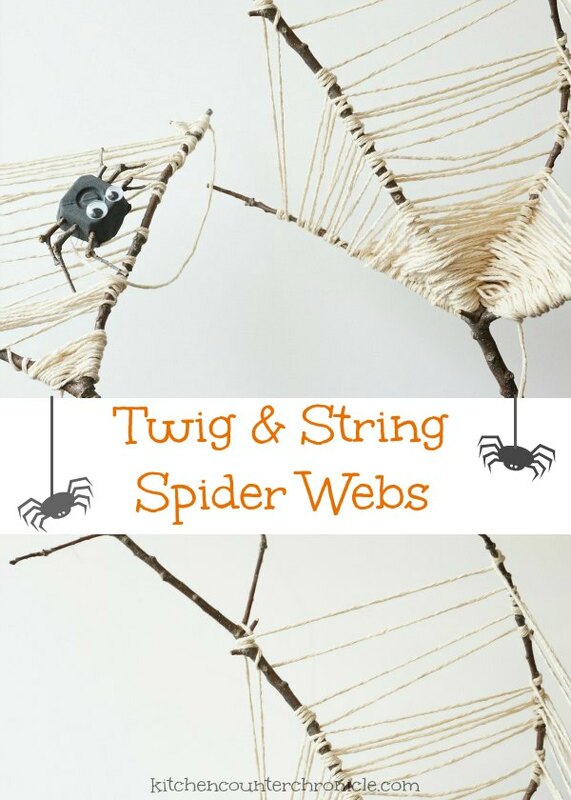 So, as Halloween approached we took our love of the outdoors and combined it with weaving to make this simple string and twig spider web craft. Our crafting adventure began on a very windy fall day. The benefit of a very windy fall day is the variety of branches that shake free from the big trees in the park. We went on a scavenging trip and picked up a whole stack of branches. We were looking for ones that would be perfect for weaving. Once we had our branches at home, and checked them for any hitchhiking critters, it was time to start weaving. 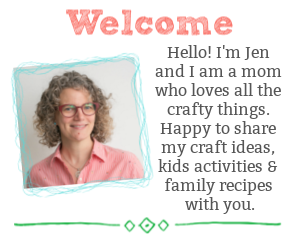 We used simple natural kitchen twine – the kind I use to truss my Thanksgiving turkey. 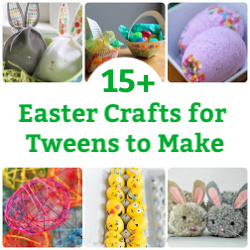 You could really use any type of twine, wool or ribbon. 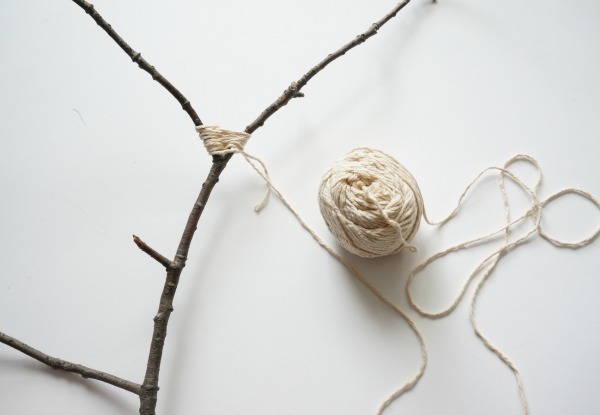 To begin, we picked a spot on the branch to tie our knot…and then the looping and weaving began. As we moved the string around the branches we let the shape of the tree guide the size and shape of our spider web. 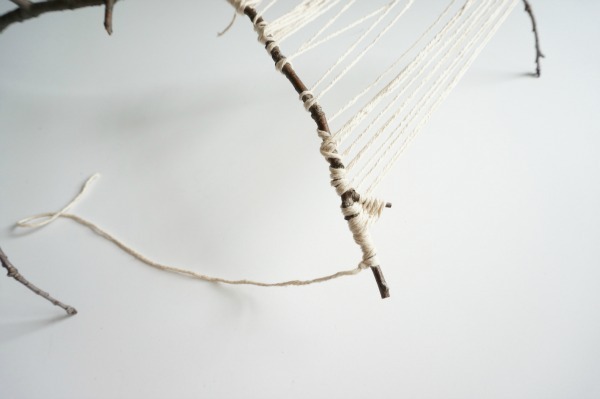 If we wrapped the string around the twig a few times in a row, we created a more airy and open web. It was interesting to think about how a spider might have built a web on our branches. Would a spider link to the same branches we chose? How long would it take for a spider to make a web the size of ours? We had a long discussion about the beauty of real spider webs. In the end, simply tie another knot. We left a long piece of string hanging on, where we tied on a silly nature spider (tutorial to follow soon). We think our spider webs turned out beautifully. I love how we used simple, natural materials. This project cost us nothing and didn’t require a trip to the craft store…just a trip to the park. We will display our spider webs inside our house, in a vase filled with twigs and outside in our garden containers for visitors to enjoy all fall long. 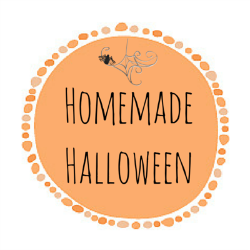 Today’s Halloween craft project is part of a growing collection of kid activities and crafts – the Homemade Halloween blog hop. 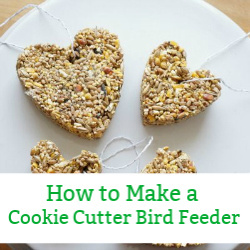 Click through and check out all the other ways you can have a delightfully homemade Halloween this year. I love this! 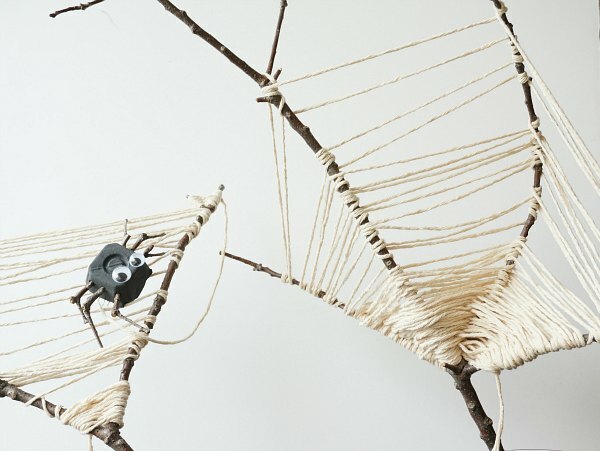 We did a spider weaving thing with craft sticks, but I love the nature twist on yours! What an awesome idea!! I can’t wait to do this with my little one! !